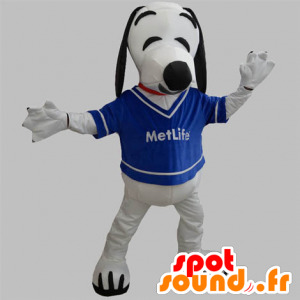 Spotsound offers this famous mascot of the Bic pen mark. Costume yellow and black Bic. For a business office, a paper mill, for the marketing process or to represent your company, it will fit the bill. 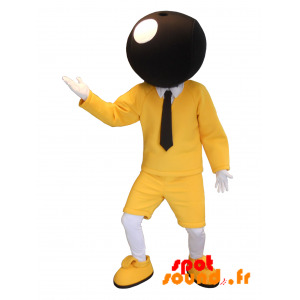 Lightweight, yellow and black man costume is very comfortable to wear! Personalize it any way you want! smiling mascot, funny and appetizing Mie Caline. 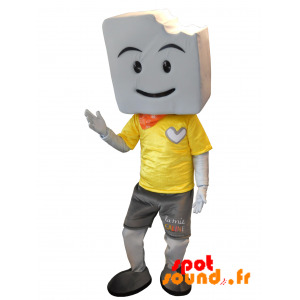 In a supermarket, marketing campaigns, to promote your brand, for a bakery, or for a children's party, this pretty mascot with a square head bitten will fit the bill. Smiling and cute disguise like fun is customizable to suit your needs! This beautiful bobcat mascot, orange, white and black of the famous insurance comparison site, is surprising and very successful. 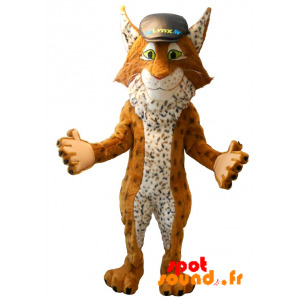 With beautiful green eyes, this lynx costume will be ideal for marketing actions, animations with children or for costume parties. Also perfect for a movie theater, an amusement park or a game room. Available in all sizes! Mascot bearded, rosy, with glasses and a cap, famous mascot of the Sugar Daddy brand. 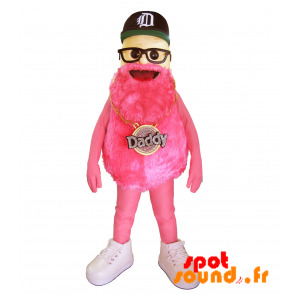 All pink, funny, sweet and hairy, it will animate your best theme parties and your biggest events. Adapt it to your desires with your own identity and some accessories. For questions, please contact our customer service. 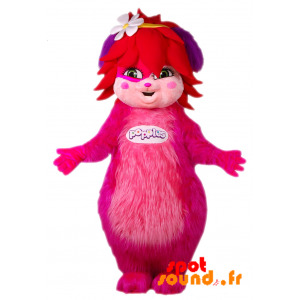 female mascot of the famous pink teddy Popples. 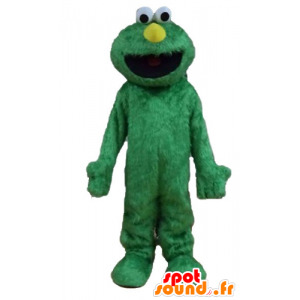 With her cute head and her pretty green eyes, that sweet hairy costume will be perfect for marketing events for entertainment and promotions. With its pretty colors, you will unanimously with your audience and will delight all your guests, both children and parents. Soft and comfortable to wear! Impressive, this beautiful gray mascot rhino fierce-looking, will make a splash during sport events, promotions, and events of all kinds. 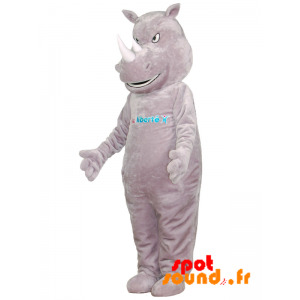 You can customize this magnificent rhinoceros suit with text, an outfit or with a logo or accessories. quality fabric, machine washable. Quick and neat delivery. Beautiful colorful mascot king, King Leo, emblematic character of the Fêtes de Bayonne, Basque feria. 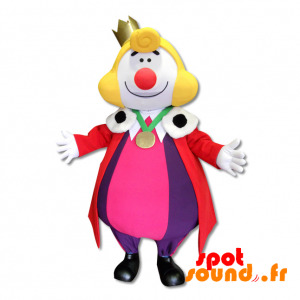 Majestic, with a pink dress, purple, red and white and a golden crown on his head, you'll be the king of your events. 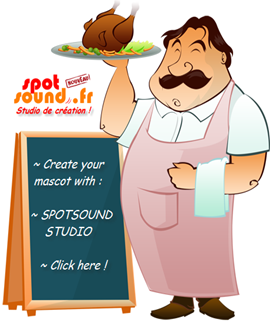 Mascot, original and fun, for colorful events. Available in several sizes, this costume is light and comfortable to wear! 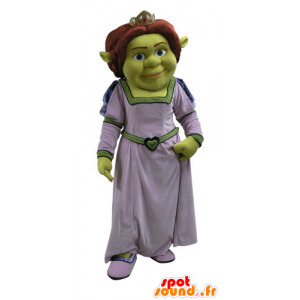 Mascot of the famous Fiona, Shrek's wife in the famous cartoon of the same name. 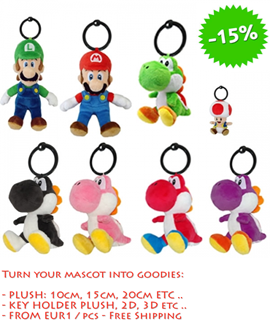 Make a splash with this famous character! Get out disguised organize a trade promotion or make it the image of your favorite sports club. 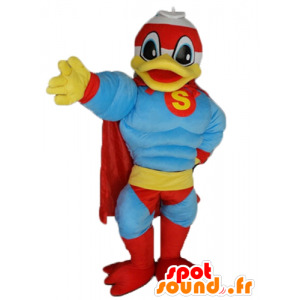 The costumes are made with quality fabric and sent quickly across the world. With our mascots, events for everyone! 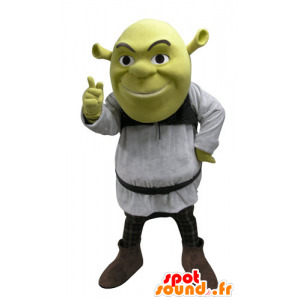 Mascot of the famous character of Shrek, green ogre cartoon. Make a splash with this famous character! Get out disguised organize a trade promotion or make it the image of your brand. 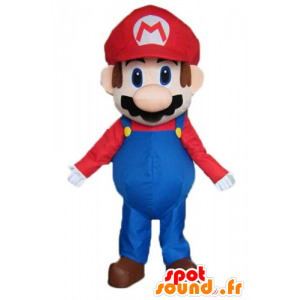 The costumes are made with quality fabric and sent quickly across the world. With our mascots, events for everyone! 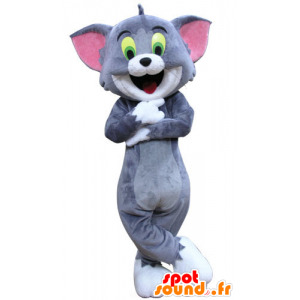 Tom lovely mascot, the famous gray cat cartoon Tom and Jerry. 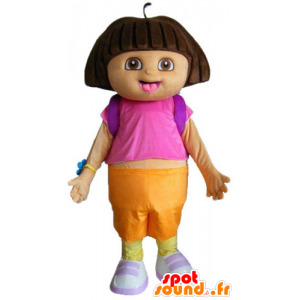 Sweet, charming and funny, she surprised everyone with its round head and friendly! 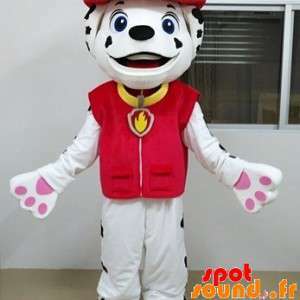 Ideal for a park for a child's birthday, shows, performances, you can customize this cat disguise as you want! Costume comfortable and good quality, machine washable. Lovely brown and pink mouse mascot giant. Sweet, charming and funny, she surprised everyone with its round head and friendly! 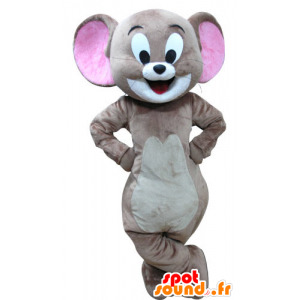 Ideal for a park for a child's birthday, a show, a performance, you can customize this mouse costume as you want! Costume comfortable and good quality, machine washable. 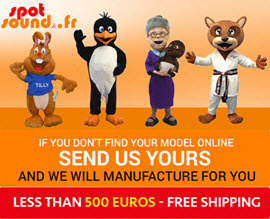 Jolie, very successful and colorful, this mascot Pinocchio, the famous cartoon character, dressed in a red suit, black and white, will moderate your greatest moments and dazzle young and older children. 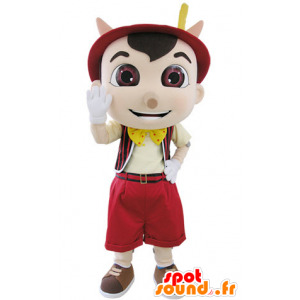 With his hat and cute vest, this mascot wooden puppet is perfect for themed parties or for children's parties! Light and comfortable to wear! 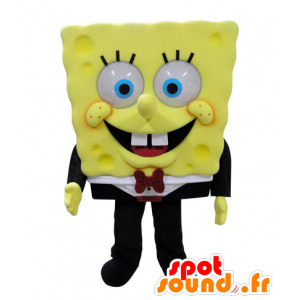 Yellow, classy, ​​well-dressed, smiling and giant, this mascot SpongeBob, famous cartoon character of the same name, will be the attraction for sure, when your best marketing events. 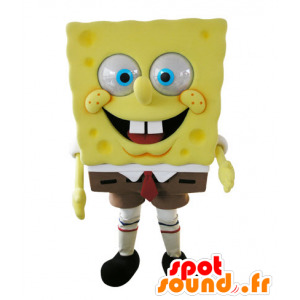 For a fish, a port, an aquarium, for summer holidays or seasonal products, this giant sponge suit is perfect. Available in 7 sizes! 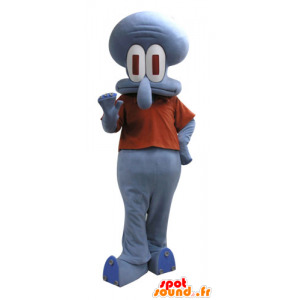 Violette and funny giant and very successful, this mascot Squidward Tentacles, famous character in the cartoon SpongeBob, attraction will fail at your most beautiful events. For a fish, aquarium, for summer holidays or seasonal products that suit Carlo is perfect. Available in different sizes for a customized fit. 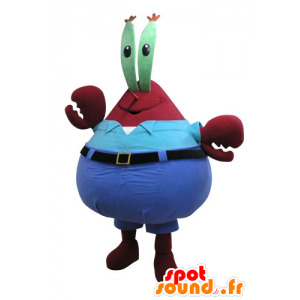 Red and blue and very funny, this mascot Mr. Krabs, famous crab, friend of SpongeBob, attraction will fail at your most beautiful events. For a fish, an amusement park, an aquarium, for summer holidays or seasonal products that suit Mr. Krabs is perfect. Available in different sizes for a customized fit. 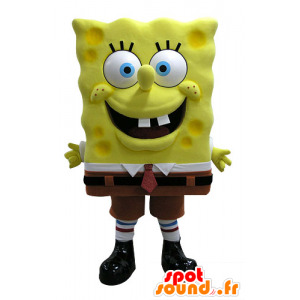 Original and very funny, this mascot Sandy squirrel, squirrel famous friend SpongeBob, will be the attraction for sure, when your most beautiful events. 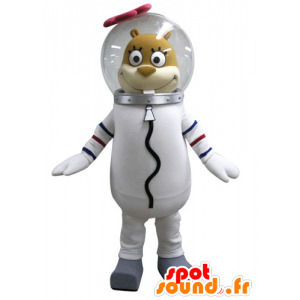 For a fish, an amusement park, an aquarium, for summer holidays or seasonal products, this squirrel suit with a diver is perfect. Available in different sizes! 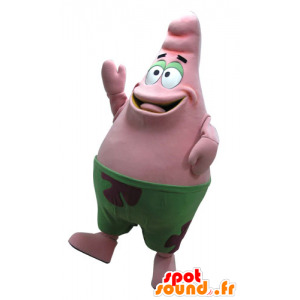 Rose and funny giant and smiling, this starfish mascot, Patrick in the cartoon SpongeBob, attraction will fail at your most beautiful events. For a fish, a port, an aquarium, for summer holidays or seasonal products that suit starfish is perfect. Available in several sizes for a customized fit. 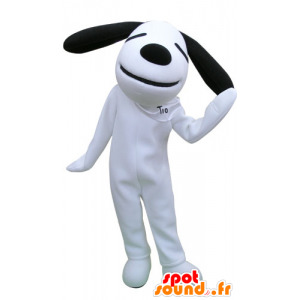 Mascot of black and white dog, Snoopy, the famous cartoon dog, Charlie Brown mate. 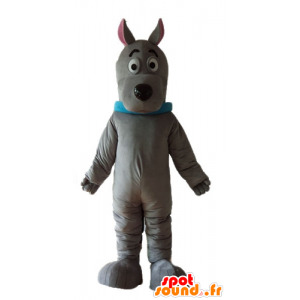 Funny, cute and very successful, this dog costume will be ideally suited for various companies or marketing for shows or performances. Add to it a logo, slogan or holding your choice. 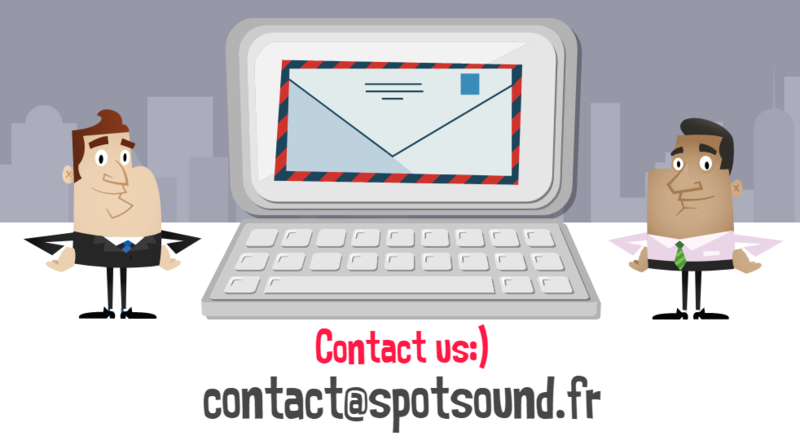 Contact us to request information or customization. 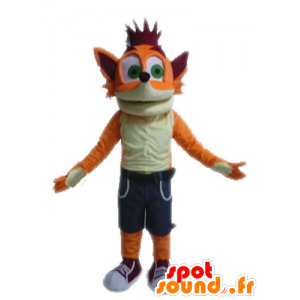 Our site Spotsound, specialized in events, offers this disguise of Crash Bandicoot, famous orange and yellow fox video games. Giant, very realistic and impressive, it will host your most beautiful events, your events, your marketing activities or your evening cocktails. Fun and cute, add him props for even more fun! Mascot Sully, alien monsters and Co.
Sumptuous mascot Sully, famous blue monster, all hairy, cartoon Pixar, Monsters and company. 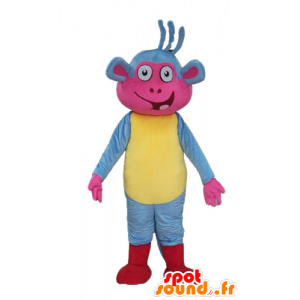 The soft costume, colorful, cheerful and funny, amaze young and older children. It will be perfectly suited to leisure centers, game store, or theme nights. Add to it the accessories for even more fun! 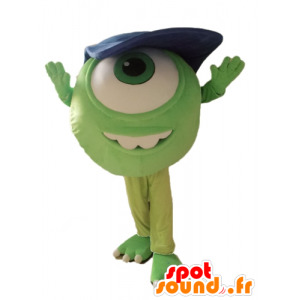 Bob mascot, famous alien monsters and Co.
Sumptuous mascot Mike Wazowski famous green alien, cartoon Pixar Monsters and company. This green costume giant Cyclops is marked with a big smile. It will amaze both young and older children. It will be perfectly suited to leisure centers, game store, or theme nights. Add to it the accessories for even more fun! 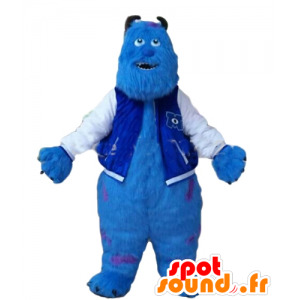 Sumptuous mascot Sully, famous green monster all hairy, cartoon Pixar, Monsters and company. 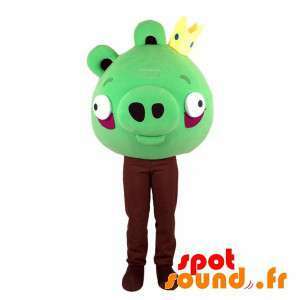 The soft costume, colorful, original and funny, amaze young and older children. It will be perfectly suited to leisure centers, game store, or theme nights. Add to it the accessories for even more fun! 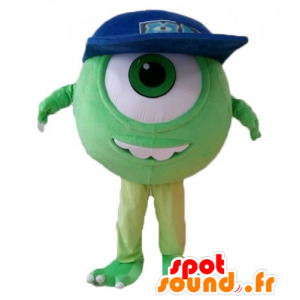 Sumptuous mascot Mike Wazowski famous green alien, cartoon Pixar Monsters and company. This green giant Cyclops costume with a cap. It will amaze both young and older children. It will be perfectly suited to leisure centers, game store, or theme nights. Add to it the accessories for even more fun! 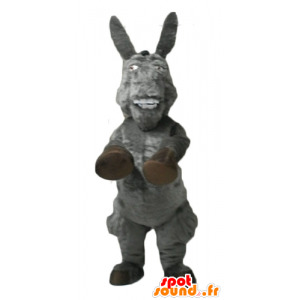 The donkey famous mascot, the famous gray donkey, Shrek companion. 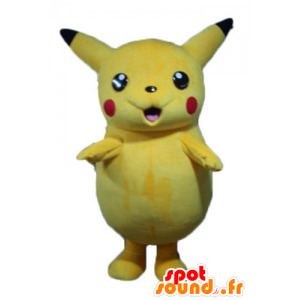 Beautiful cute and funny mascot, which can be used for all kinds of events. Whether for entertainment, parties or for marketing campaigns for a brand or a supermarket, it will please fail.